I had made my way outside of Berlin to the little community of Beelitz on this snowy Easter weekend to photograph Beelitz Heilstätten, a sanatorium for tuberculosis treatment methods in the early 20th century. 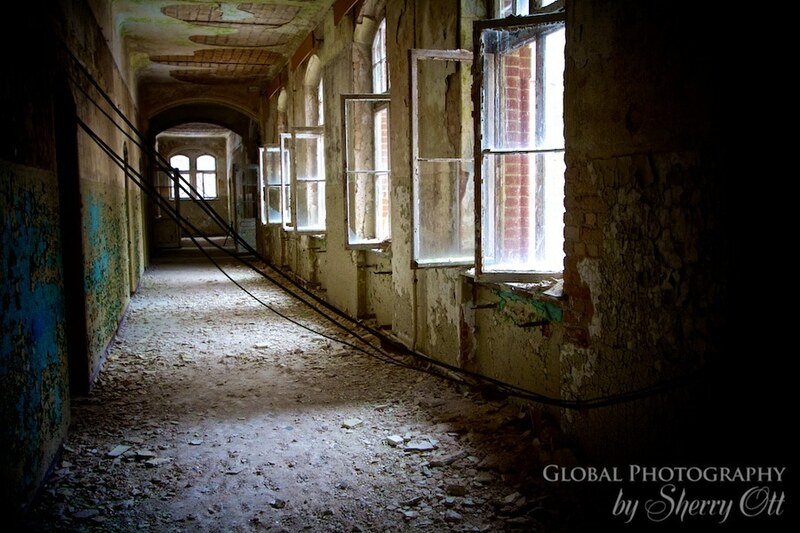 In 1898 Beelitz Heilstätten opened with 600 beds to treat the ill. The sanatorium was strictly divided along gender lines: women were accommodated to the west of the main road, men to the east. As it grew over the next few years more buildings were added and it turned into a ‘city for the ill’ with a post office, restaurant, stables, water tower, power plant, butcher shop, and even a beer garden. As time and history marched on around Berlin the sanatorium also served at a wartime hospital, and a GDR hospital, in addition to continuing to serve TB patients with ‘advanced technology’. 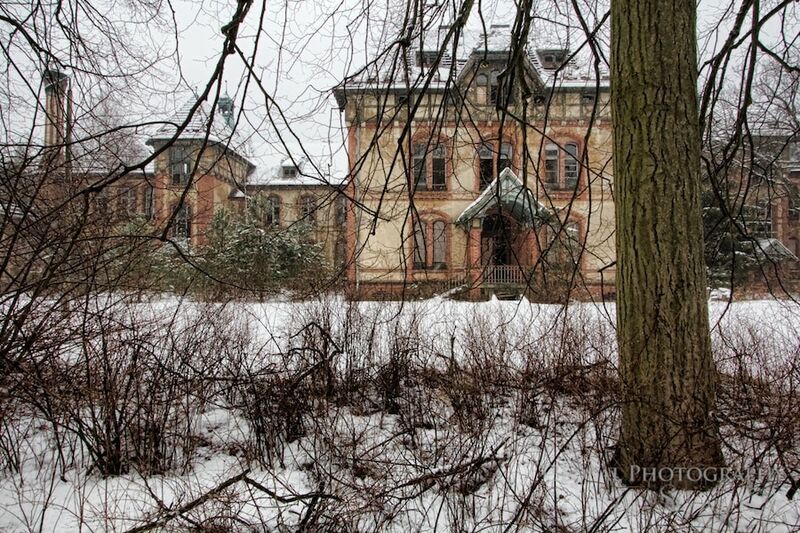 The extensive sanatorium ‘campus’ has been abandoned since 1994 and now is in the familiar limbo of many historic, unused buildings in/around the Berlin area. 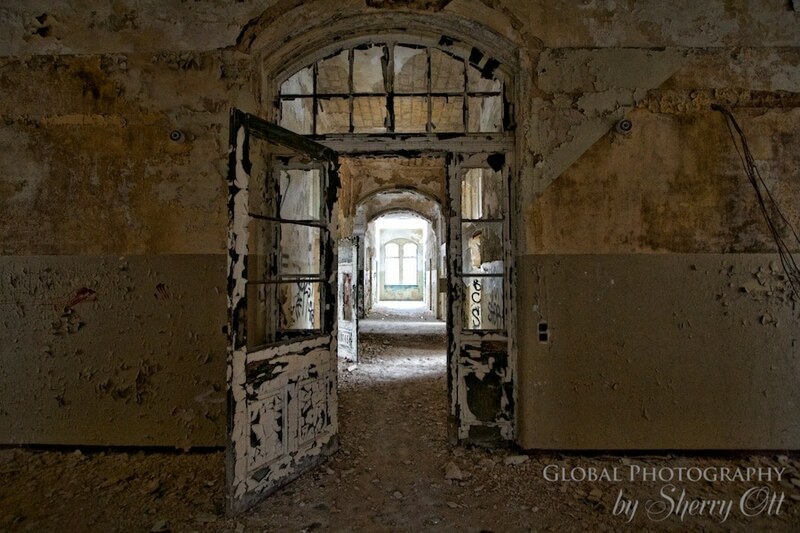 While the government and owners decide what the fate of the Beelitz campus is, companies like Go2know have been granted special permission to run photography tours through the crumbling buildings. The site is so extensive that they have separate photo tours for the men’s and women’s section.